I was gonna make a new feature called “LoveHKFilm.com Time Machine,” but seeing as how pretty much every Hong Kong film I talk about in this blog is going to be something that’s already on DVD, I decided to scrap the idea altogether. Besides, I’ve got enough new features every week on this now almost-daily updated blog, so why bother adding a category that isn’t necessary? The inaugural Time Machine post was going to focus on Crazy N’ the City, so here it is sans categorization. 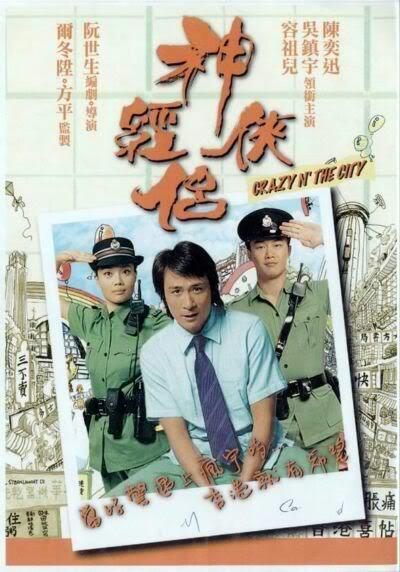 Crazy N’ the City did not make my top list of Hong Kong Films of the 2000s, but with good reason — I hadn’t seen it. I know I’m a movie reviewer by trade, but some films simply slip through the cracks, especially stuff that comes out in another country altogether. The year Crazy N’ the City came out, I’m pretty sure I was regularly watching Korean romantic comedies and horror films (don’t ask) instead of my beloved Hong Kong cinema. Well, I finally saw the film awhile back, and I can now say that I totally understand why Kozo and the Readers ranked it so high. I don’t know where I’d rate it, but I really liked it, all the same.